Useful information - Famous Cigar Smokers. Many famous people smoke cigars. Many famous people, now standing for the legendary historical figures, smoked cigars. For many of them, cigars were something more than just a tobacco product. Perhaps they could be very different if they never smoked. Winston Churchill is often quoted as saying: "I'm always carrying Cuba on my lips". Guess what he was talking about. Churchill always had Cuban cigars in his residence, and he tried to keep his stocks away from the multiple visitors, offering them somewhat worse species. Once a large delegation of governmental officials came to Churchill's house and he ordered to bring in some cigars. After the first puff Sir Winston understood that the servant brought Romeo y Julieta cigars. The history says nothing about the destiny of the poor man, but Sir Winston Churchill was definitely not happy at the moment. "When I was a youth I used to take all kinds of pledges, and do my best to keep them, but I never could, because I didn't strike at the root of the habit - the desire; I generally broke down within the month. Once I tried limiting a habit. That worked tolerably well for a while. I pledged myself to smoke but one cigar a day. I kept the cigar waiting until bedtime, then I had a luxurious time with it. But desire persecuted me every day and all day long; so, within the week I found myself hunting for larger cigars than I had been used to smoke; then larger ones still, and still larger ones. Within the fortnight I was getting cigars made for me - on a yet larger pattern. They still grew and grew in size. Within the month my cigar had grown to such proportions that I could have used it as a crutch. It now seemed to me that a one-cigar limit was no real protection to a person, so I knocked my pledge on the head and resumed my liberty". 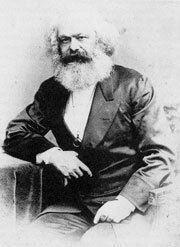 Karl Marx never quit working on his economic theory books to start earning money. The prominent philosopher once claimed that the amount of money he received for the first volume of his monumental "Capital" never paid even for the cigars he smoked when working on it. Luckily, Karl Marx had a plenty of rich and helpful friends to support him. 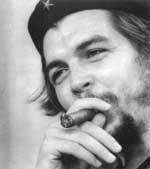 Che Guevara smoked a cigar for the first time after the first serious battle. Since that he was known to be one of the world's most famous cigars aficionados. In each new guerilla camp he created a small tobacco plant where cigars for all soldiers were produced. Ernesto Che Guevara never accepted gifts, especially the expensive ones. Exceptions could only be made for books and cigars. Sigmund Freud was weird. He was a weird son, a weird husband and a weird doctor. And he was a very weird smoker. Cigars - the tobacco product for the aficionados - acted as a doping for Freud. He used them as a source of inspiration and self protection. Some scientists claim that Sigmund Freud couldn't even exist without those "burning stuff in his mouth". Freud himself thanked cigars for his scientific success. And the facts say that hardly any of Sigmund Freud's books or articles were written without him smoking a cigar.